This article was posted on Friday, October 9th, 2015 at 1:08 am and is filed under Tours of Peru. Nestled between Peru and Bolivia, Lake Titicaca is South America’s largest lake. At over 3,200 square miles, it is also one of the world’s highest commercially navigable lakes and, for the people of the Andes, the traditional site of the birthplace of the Sun. The lake is one of the best places to visit in Peru. The lake has been considered to be the center of the cosmos, at least in the eyes of the Andean peoples, for centuries. 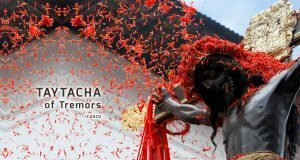 Even the Inca, who conquered the lands in the 15th and 16th centuries, continued the belief in its connection to the sacred. Evidence of the importance of the lake as a spiritual site is peppered all around the lake in the form of crumbling stone ruins and religious monuments. 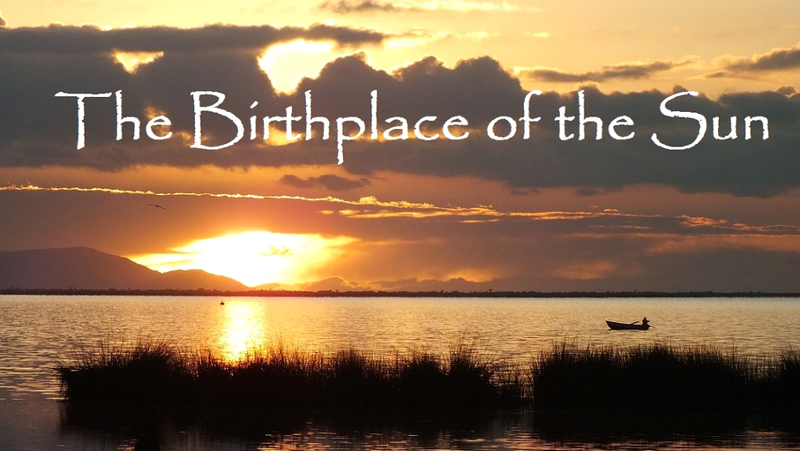 Lake Titicaca is home to over 40 natural islands and 60 species of birds. Residents are both indigenous peoples and recent emigres. The two main cities of entry are in two different countries: Puno, Peru, at one end, and Copacabana, Bolivia, at the other. Both of these cities are well-equipped to accommodate visitors’ needs, from hotels and shops to restaurants and access to information and resources about the current culture and past history of this sacred place. It is likely that the connection of the lake to the sun has much to do with its altitude, which is well over 12,000 feet. Most visitors need to take some time to adjust to the altitude. They accommodate by scheduling some down time, for instance, in Puno or Copacabana. It is well worth the time it takes to adjust. The best way to see the lake itself is to go out onto it, because it changes. Near the edges, the water is murky. The further you travel towards the middle, the clearer it gets, until the waters are as clear and blue as the Mediterranean. There are many sites to see on the Lake, from hiking on the Isla del Sol to observing the normally laid-back populace explode in a riot of costume and ceremony as they celebrate the holidays. One attraction not to be missed are the Islas de Uros. One of the lake’s most popular attractions, the Islas de Uros is a group of over 50 floating islands created from the totoro reeds that grow abundantly in the shallow part of the lake. The islands are the man-made home of the Uros people. Originally thought to have been constructed as a way to keep their families safe from hostilities, the islands are regularly tended to by the Uros. They are constructed on a base made of densely-packed clumps of totoro roots lashed together, with layers of the totoro reed itself placed on top. 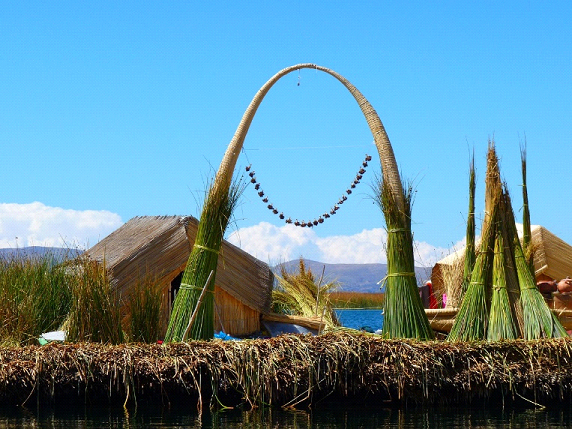 The Uros still use the reeds, as well, to build traditional homes, boats, and elaborate arches and other crafts. Visitors generally can see the floating islands and their handiwork by ferry, which usually visits at least two of the islands on a rotating basis. The sunsets and sunrises over Lake Titicaca may be one of the reasons why the Andean people call it the birthplace of the sun. When you visit the Lake, be sure to check for the best times and places to view the sun as it awakes or sleeps beyond the horizon.